New year, new Fahrenheit - our founder Chris McVeigh explains what the hell is going on. Today we’re announcing some big changes at Fahrenheit. There’s a lot to get through so strap in tight and pay attention. 3 tasty new flavours of Fahrenheit. To reflect some of the changes we’re announcing today at Fahrenheit we’ve split our list into 3 distinct imprints. Fahrenheit Press - A tightly curated blend of traditional crime fiction from established and debut novelists. Fahrenheit 13 - A collection of the finest hard-boiled noir and experimental crime fiction. Fahrenheit Editions - Limited edition hardbacks from your favourite Fahrenheit authors. From today for the first time you’ll be able to buy all of our eBooks and paperback editions directly from us. Since we started Fahrenheit a lot of you have been asking for this so we’ve partnered with Shopify to provide you with an easy, secure and efficient way to buy directly from us. From today when you go to one of our book pages you'll be able to buy from Amazon or direct from us. 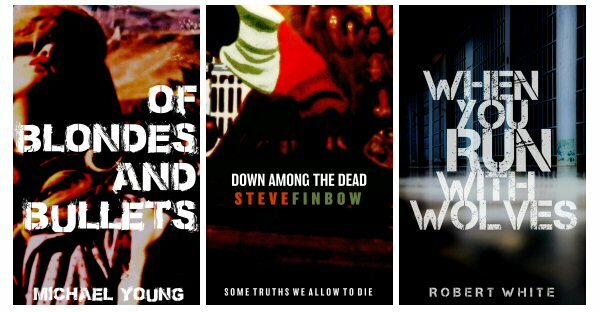 To celebrate we've made ALL the eBooks available on this site £0.99/$0.99 for the rest of February, go fill your boots. Readers in the USA have been able to order our books in selected bookstores for some time but we are delighted to announce that from February 28th 2018 Fahrenheit fans will be able to order our books from all good book stores in the USA & Canada, the UK and in Europe. As well as making our books and authors more visible we hope this will help our efforts to support the book stores who serve such a vital role in our communities. 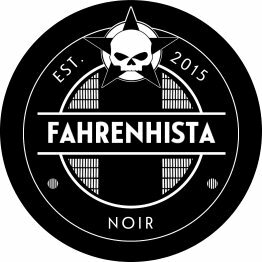 Fahrenheit joins forces with noir legends Number Thirteen Press. 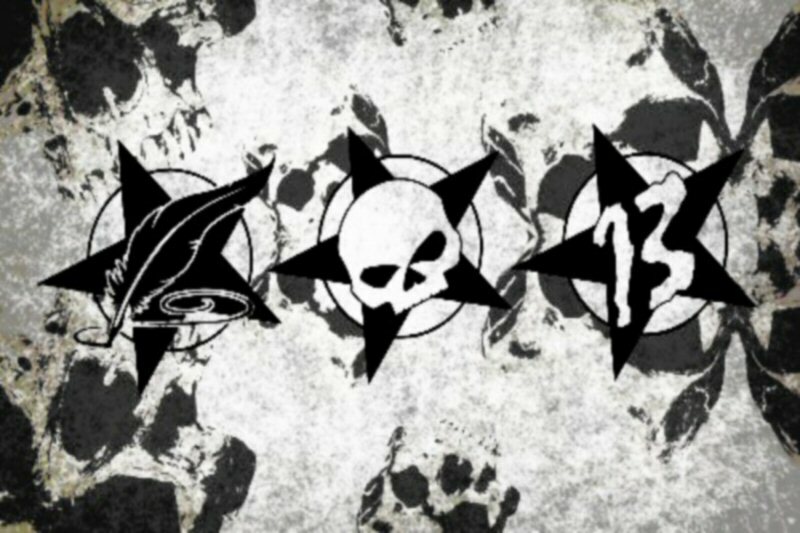 We’re delighted to announce that Number Thirteen Press has officially become part of the Fahrenheit family. We’re massively chuffed that as part of the deal, Number Thirteen head honcho Chris Black has agreed to join us as senior editor of our new imprint Fahrenheit 13. Over the coming months we’ll be republishing the Number Thirteen books and Chris will be out in the world actively commissioning new books for our new imprint. As a nod to Number Thirteen tradition, all the books published by Fahrenheit 13 will be published on the 13th of the month. Beginning on February 13th with these three beauties. You can read a statement from Chris Black explaining his vision for our new imprint here. We have more plans to expand our list in the pipeline so keep your eyes peeled for acquisition annoucements over the next few months. We have such tremendous support from our readers that sometimes it leaves us breathless. We decided we’d like to try and repay some of that support in practical ways so we’ve come up with a solution that we think is unique in the publishing industry. For the last two years we’ve run a very successful eBook subscription club but one of the main pieces of feedback we received was that it wasn’t flexible enough to meet the needs of different sorts of readers. Some readers are voracious and are happy to gobble down as many books as we can throw at them but some readers like to take their time and they were finding that the 50+ eBooks we were sending them every year was too many to handle. We’ve listened to what you said and as a result we’ve partnered with Patreon to provide a flexible membership scheme for fans of Fahrenheit. When you sign up to become a Fahrenhista via Patreon you’ll be rewarded with a sliding scale of eBooks and paperbacks depending on your appetite and budget. Pledge for $1 per month and you’ll receive 12 eBooks per year. Pledge for $3 per month and you’ll receive 36 eBooks per year. Pledge for $5 per month and you’ll receive EVERY eBook we publish in 2018. Pledge for $12 per month and you’ll receive 12 paperbacks per year. Pledge for $15 per month and you’ll receive 12 paperbacks per year + EVERY eBook we publish. In addition everyone who signs up will be eligible for exclusive VIP invites to the many Fahrenheit parties, events and meet-ups we organise in cities around the world. You can sign up to support Fahrenheit here. As you all know it's tough running an Indie publishers these days but we're excited by the challenges and the opportunities ahead. We've improved Fahrenheit in a whole bunch of ways behind the scenes too and we're in the best shape of our lives to continue growing our list and bringing you the sort of extraordinary crime fiction that you just cant find elsewhere - all served up with that little bit of Fahrenheit attitude that we've become famous for. Thanks for all your support so far, I hope you're enjoying the ride as much as we are - we literally couldn't do it without you.